There are no limits on Jena usability and to the available configurations. 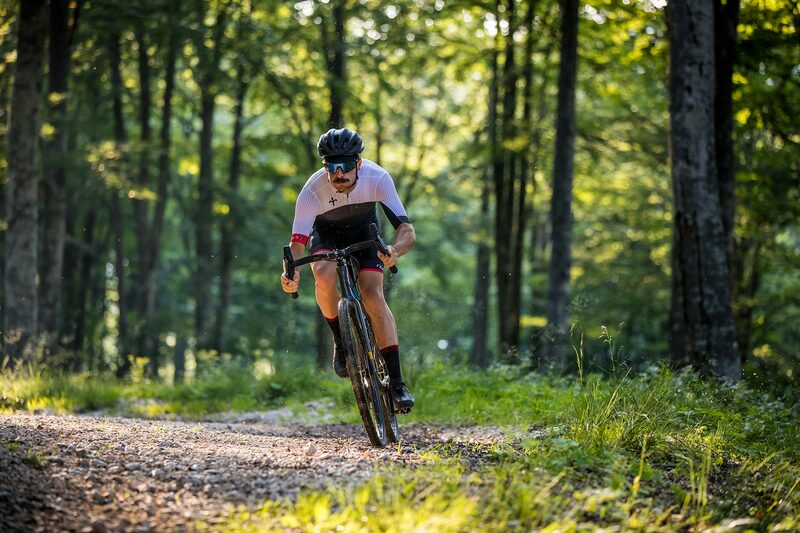 The span between frame / fork and wheels allows you to install generous tyres on 28” wheels or MTB wheels with a 650B diameter. 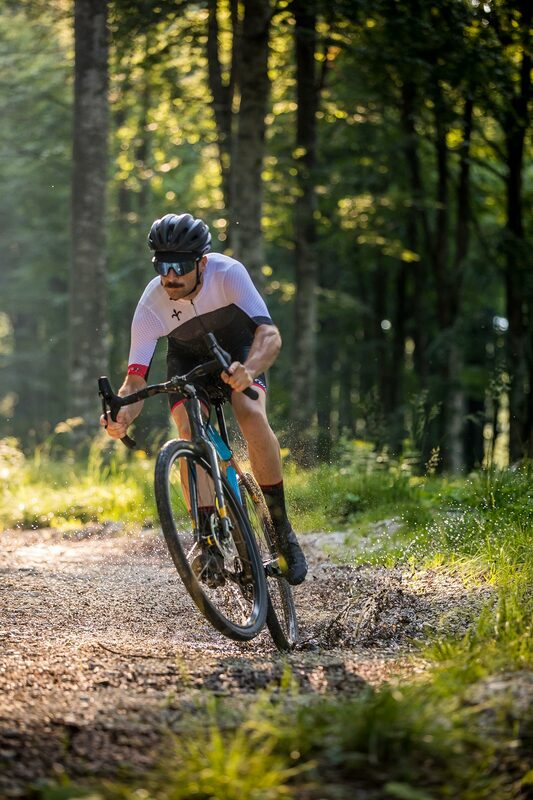 With 28” wheels you can install tyres up to 44 mm wide, whereas in case of 650B MTB wheels, you can even install 48 mm wide tyres, which is equivalent to 1.95” (tested on Vittoria tyre). There are numerous available supports that allow the installation of bottle holders, bags, carriers or mudguards. On the front fork, for example, you can install two bottle holders or one lowrider carrier for bags. Jena is available only with flat mount disc brake. The standard installed rotor has a 160 mm diameter. The wheel through pins have a 12mm diameter, 100mm long on the front fork and 142mm on the rear one. Even if the aerodynamics on gravel has less importance, an aerodynamic oblique tube was developed for Jena. 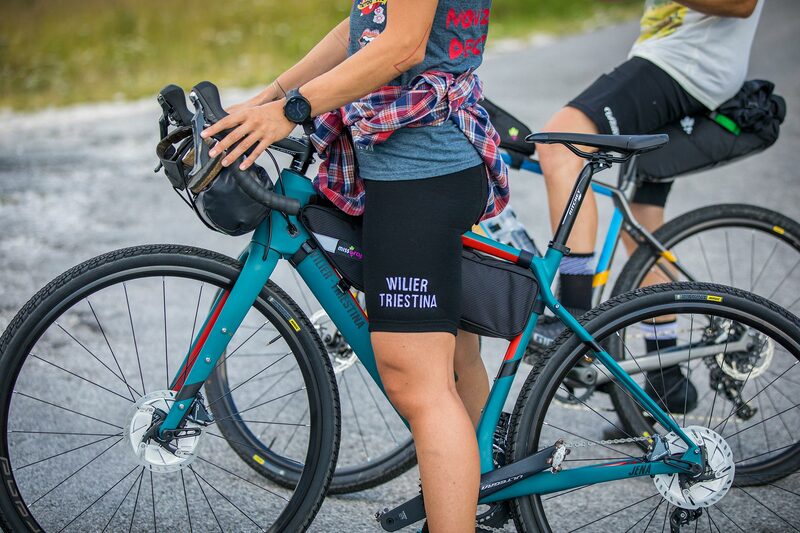 This gives the classic truncated tail shape of Wilier's aerodynamic frames. 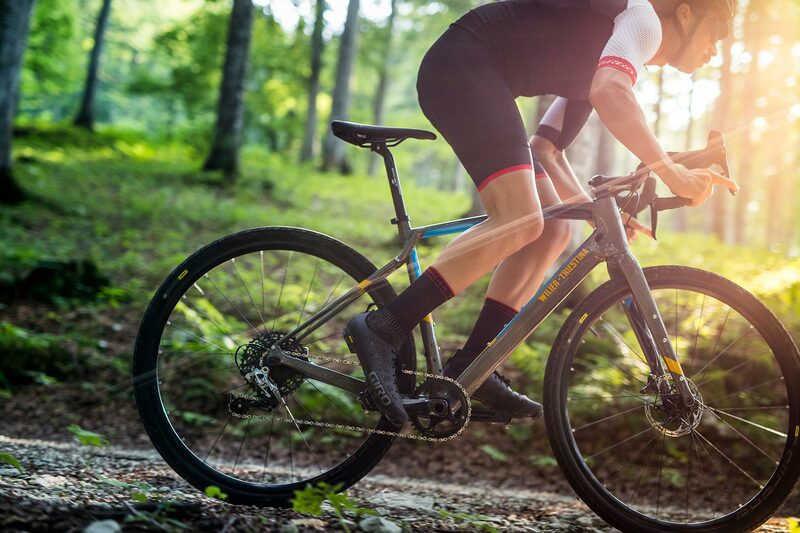 The derailleur support can be removed in case of single ring group, which is a transmission widely used by gravel enthusiasts. 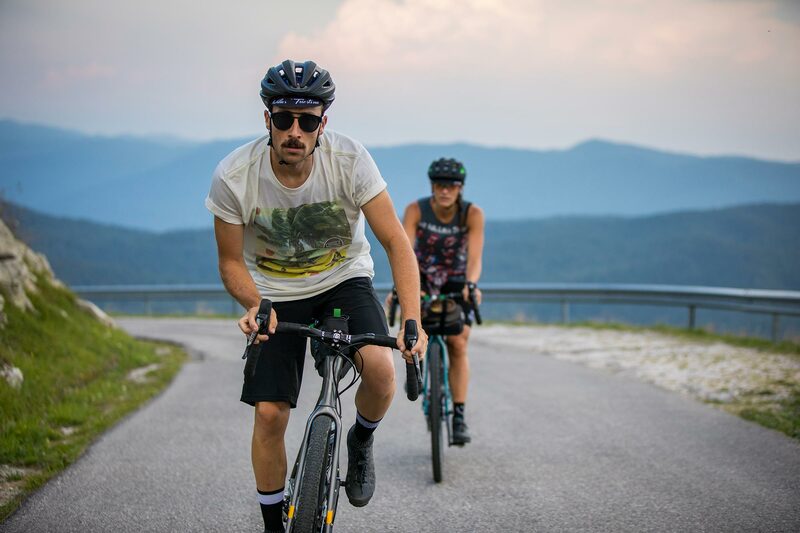 In any moment, you can choose a solution with double or single crankset, without compromising on the bike look. 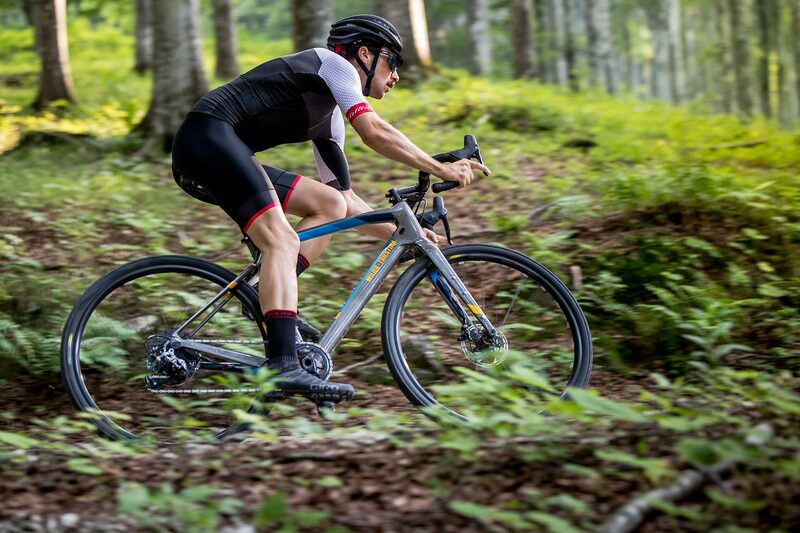 The Jena frame is constructed from 60Ton carbon fi-bre, like our top-end road bikes. 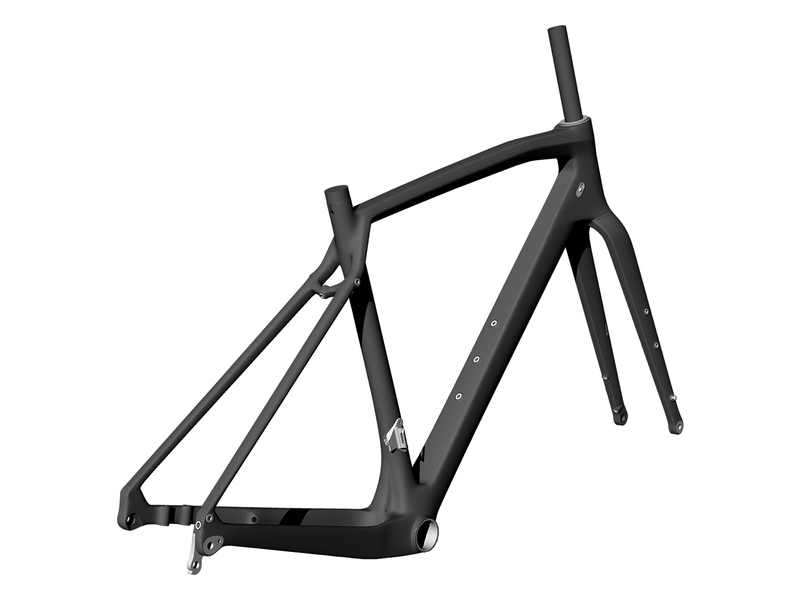 The size M painted frame weighs 995g. Yes. 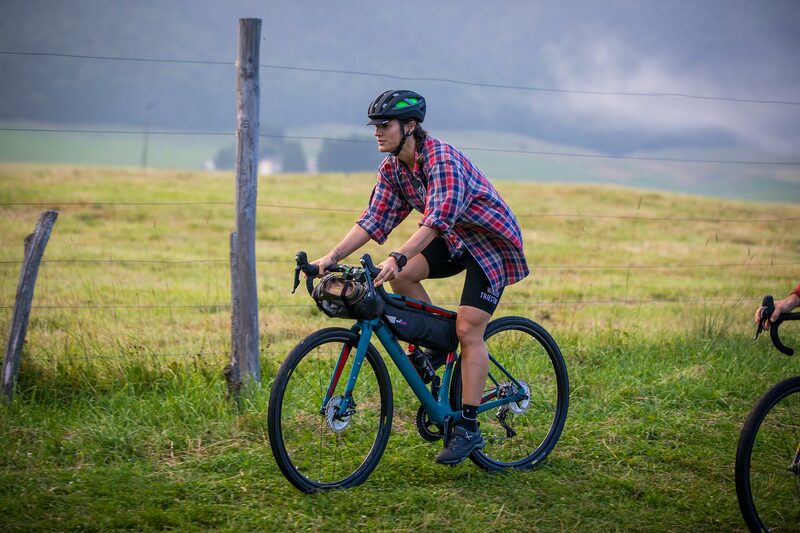 Jena has eyelets for the installation of mudguards front and rear, as well as rack mounts. The frame also has eyelets for double bottle cages on the main trian-gle, as well as bottle/cargo cage mounts on both fork legs.